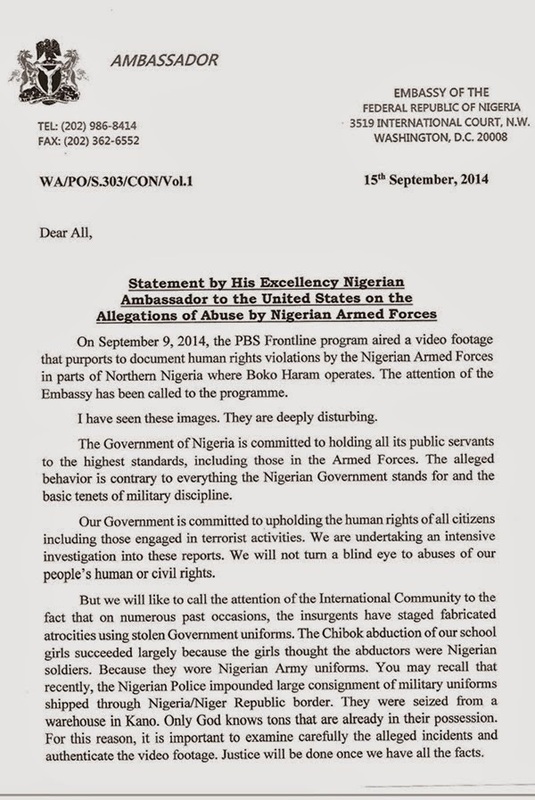 On September 9th, 2014, a US television program, PBS Frontline aired a very disturbing video footage showing security forces allegedly committing human-rights violations. One of their reporters, producer Evan Williams had set out to investigate atrocities committed by Boko Haram, but along the way he uncovered a very different story. A video footage given to Williams by numerous sources appeared to show state-sponsored militias — and in some cases the Nigerian military — conducting brutal interrogations and even executions of civilians suspected to be Boko Haram members. The video has been trending on social media and has attracted wide condemnation. 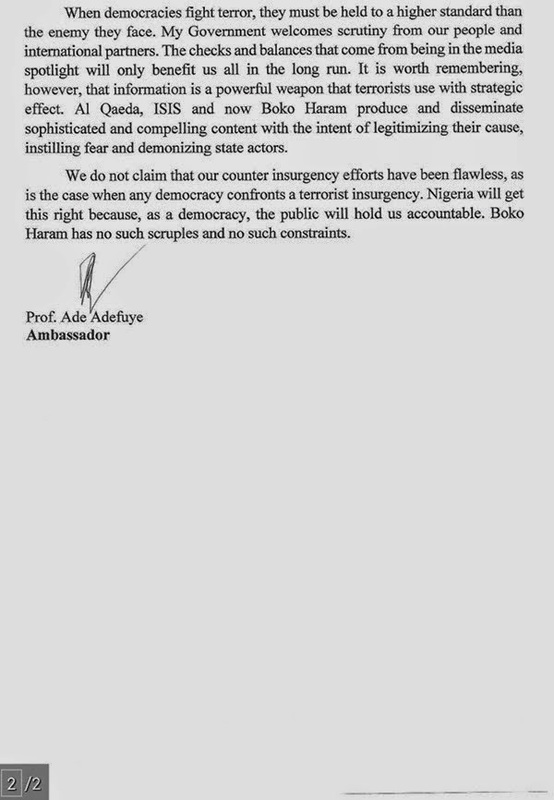 And to set the records straight, Nigeria's Ambassador to the United States released the below statement about the videos. I can't see what he wrote there, abi u see am, beneno?